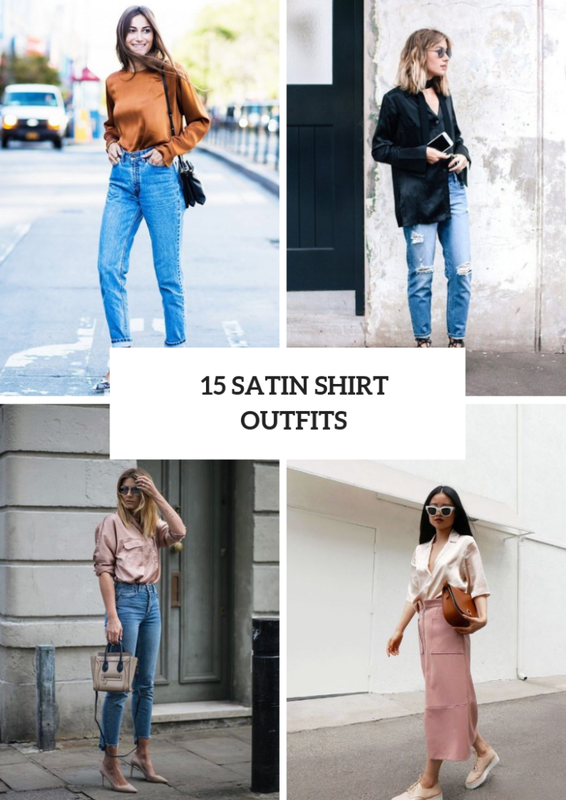 We have already told you about satin skirts and ways how you can combine them with other pieces of clothes, accessories and shoes, so today it’s time for one more satin item — a chic and gorgeous satin shirt. Depending on occasions you can choose button down, wrapped, one shoulder shirts or ruffled blouses. With such amazing shirts you can create elegant and official looks, cocktail party and casual outfits. All you need is to pick up a type of shirts, a color or print. So now I offer you to consider all ideas below and find a perfect one. Get inspired! 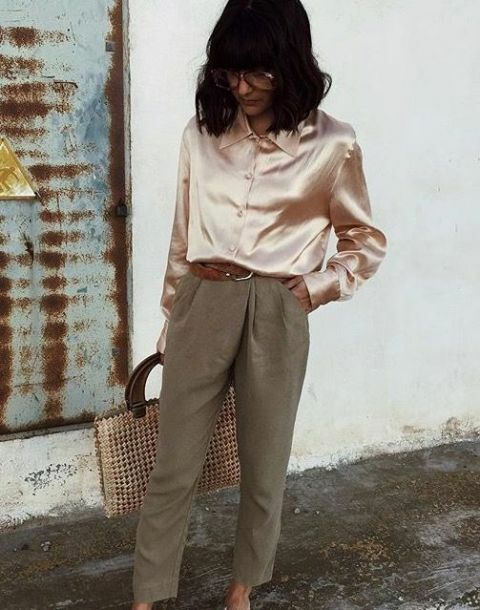 A combination of a satin shirt and jeans looks awesome! So if you are a big fan of jeans, then you can take a burnt orange long sleeved shirt and mix it with cuffed straight jeans, a black leather bag and printed shoes. Or you can choose a pale pink button down shirt and pair it with skinny crop jeans, a beige small bag and beige pumps. Wanna something eye-catching? Then you can try to repeat a combination with an emerald loose satin blouse, distressed jeans, black lace up high heels, sunglasses and a black scarf. Or you can mix a turquoise blouse with a faux fur vest, light blue floral flare jeans and navy blue loafers. 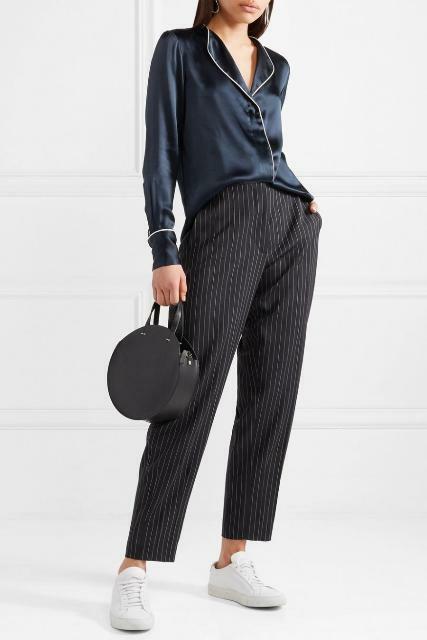 For making a more relaxed outfit you can take a navy blue shirt and combine it with striped pants, white sneakers and a black leather rounded bag. For more official looks you can take a black satin blouse and mix it with a black leather wrapped knee-length skirt and ankle strap high heels. If you want to make an everyday outfit, you can pair a beige V-neck shirt with a pale pink midi skirt, platform lace up shoes and a brown clutch.